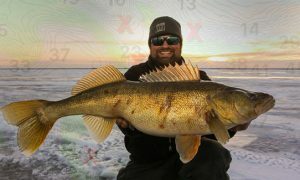 No doubt there’s a pile of jigging spoons out there…’cuz they straight-up catch fish! 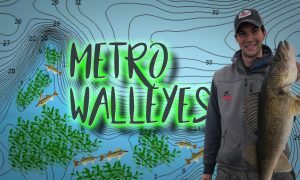 You’ve probably already got your faves, so did any of ’em make this list of 6 tried-and-true options that have been putting walleyes topside for years?! 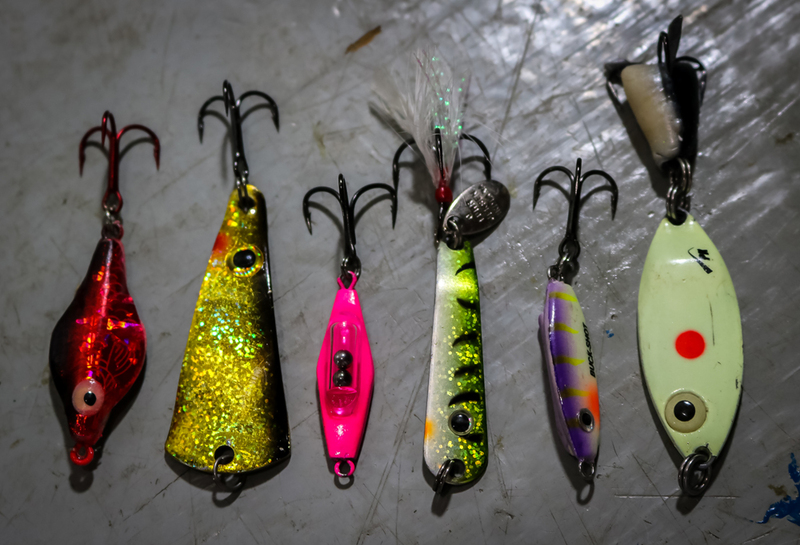 Rattle-bearing jigging spoons have taken over the tackle trays of most walleye-nuts, but don’t forget about those silent options when times get tough. 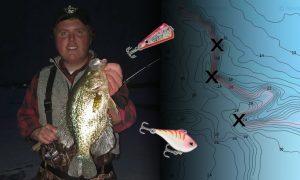 It’s all about the flash and flutter, and the VMC Tingler Spoon’s got ’em going on. 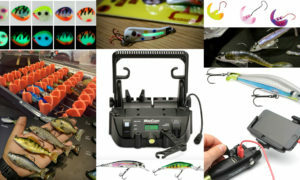 Works especially well in clear zeeb-infested water, during a cold-front or on heavily-pressured fish. 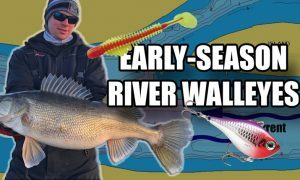 Great 1-2 punch in a single bait: can be fished “soft” when there’s slow-moving fish on the graph…or sped up and pounded. Unique “knuckle” bend gives it that tasty tumbling action on the drop, and the small metallic attractor blade adds flash and sound. 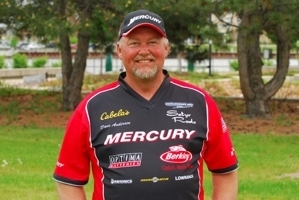 There’s a reason it’s guide Brad Hawthorne’s all-time favorite spoon…. 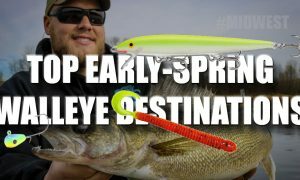 Every walleye fishermen should own a 3/8-oz PK Spoon — especially in the “red dot glow” color — it’s that good when fished aggressively. 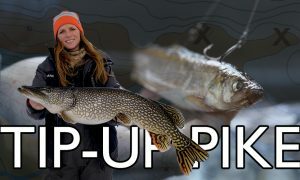 I work it just like you would a rattlebait through the ice: Start out high (say 2-3’ off bottom) and run a series of big rips before letting it flutter back down…then rock it in place for 5-ish seconds if it takes that long to get whacked…. 1. 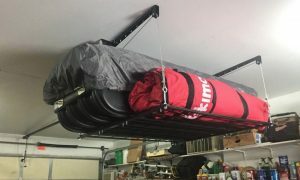 BONUS: My complete jigging-spoon setup. 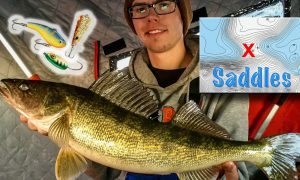 You don’t (always) need livebait to catch hardwater walleyes…. 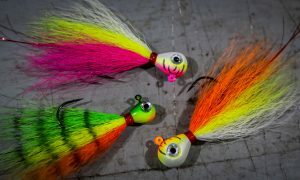 Ever try using “fake” minnow heads on your jigging spoons? How about adding a feathered- or glow-resin treble hook?? 11:25 – Longer ice rods are better…. 2. BONUS: Hawthorne’s spoon hacks! 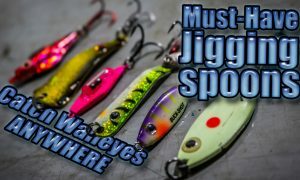 Add an extra split-ring to your jigging spoons. 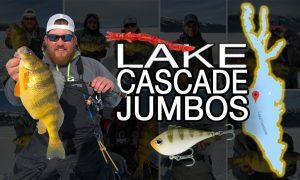 > At first I started tinkering with creating some separation in my baits, mostly on account of seeing bites where walleyes focus so heavily on whatever you tip your spoon with. 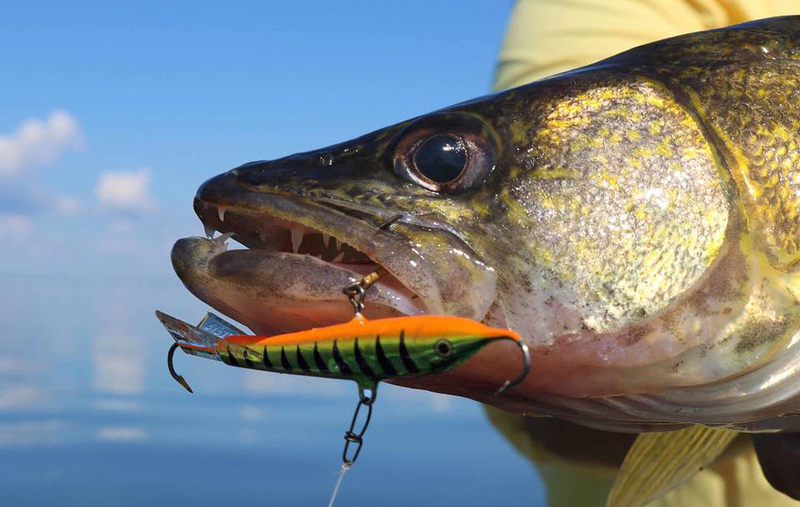 > Long dropper-chains work well for perch, but are often overkill. 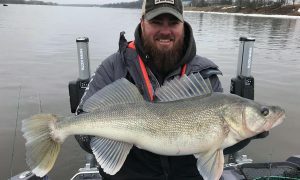 Adding just one more split ring — between the existing split ring and hook on most spoons — can dramatically increase the number of fish you’ll convert. 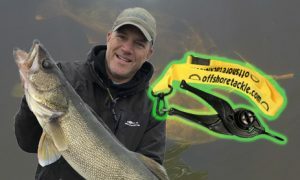 > The action was just incredible [thanks to the] freedom that extra split ring gives the business end of your lure and bait. > This is a go-to for lethargic fish. With stamped metal spoons that flutter or wobble on the drop [like the VMC Tingler Spoon], the effect can be even more impressive. > Most of these spoon types have a bend in them, creating that wiggle. 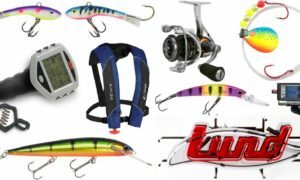 Add another split ring to these baits, and you can still get that motion, but dropping on a tighter line causes the same bait to coast off past the edges of the hole…enticing fish that aren’t directly below you. > Multiply the extra couple of feet you cover off to the sides by the number of holes you cut in a day, and you’re really getting at more fish in the same water. 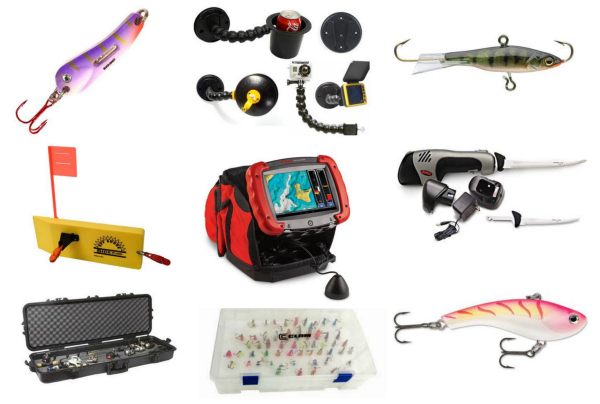 I really like these baits when fishing new areas or scouting. 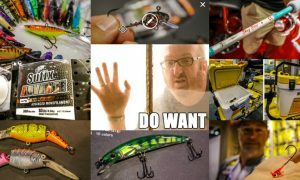 Lots more info from Joel and Brad on spoon tweaks right here.